Abby the Librarian: Cybils Shortlists Announced! Oh, friends, Happy New Year, indeed! 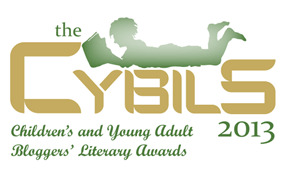 It's January 1 and you know what that means... the Cybils Shortlists have been announced! The Cybils - Children's and YA Bloggers' Literary Awards - aim to recognize books that have a combination of literary merit and kid appeal, so they make particularly great book lists to share with patrons! The winners in each category will be announced on February 14, so make sure you add these finalists to your reading list!